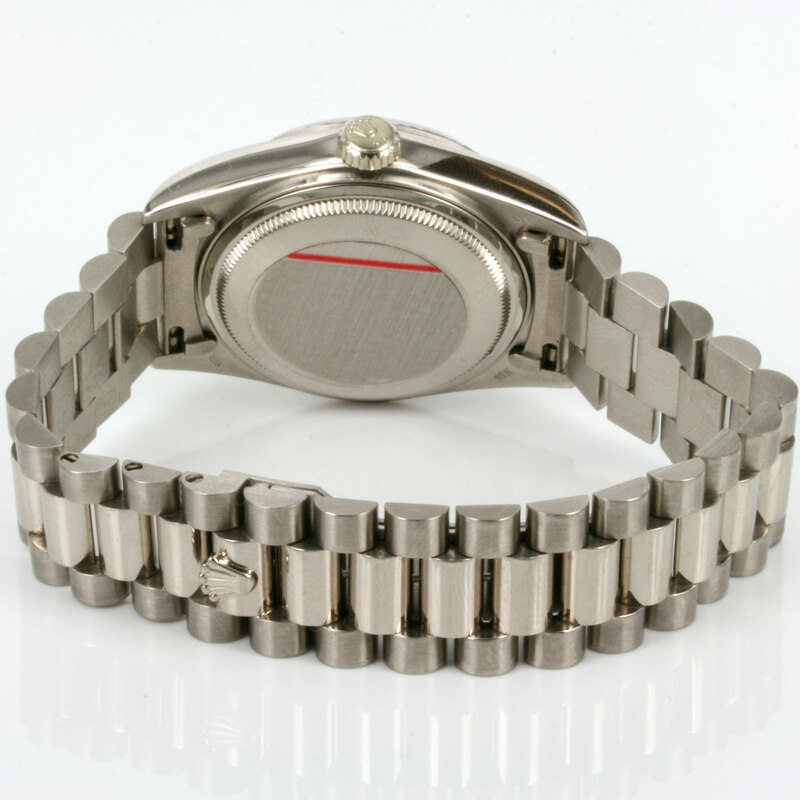 Product code: 1720 Categories: Sold Items, Sold Rolex Watches. 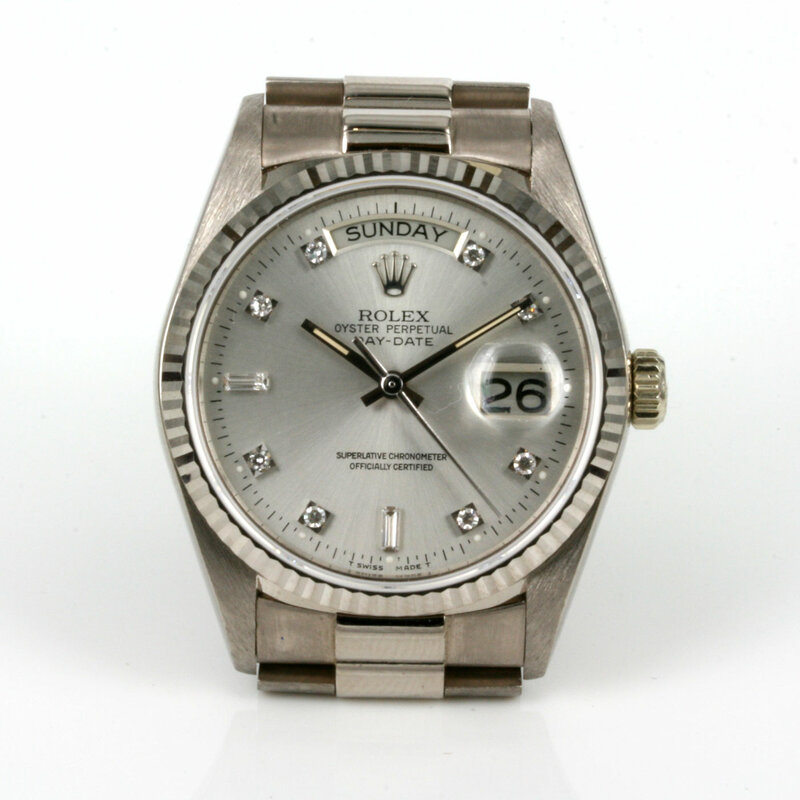 The solid 18ct gold Rolex Day Date President is always sought after, and here we have one of the finest one around – the 18ct gold Rolex Oyster Perpetual Day Date “President” model 18039G with the diamond dial and made in white gold. 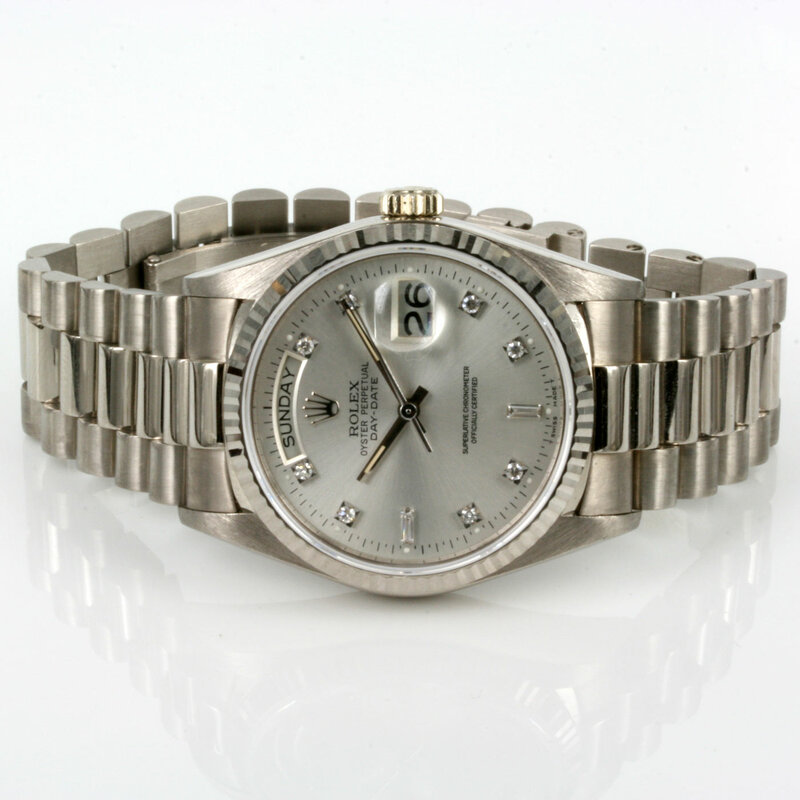 With the 10 diamonds on the dial adding to the sparkle of this Rolex, and of course fitted on the solid 18ct white gold Rolex “President” band, and powered by a fully jewelled automatic Rolex movement that keeps perfect time, this is one of the finest Rolex President watches that we have ever had.